Find places to stay in Aspen, CO and other fun things to do. View our list of attractions, activities, events, restaurants and visitor information. Currently as low as $532.00/night! 118 E Bleeker Home is an accommodation set in Aspen 400 metres from Maroon Lake Scenic Trail and a 6-minute walk from The John Denver Sanctuary. The property is an 8-minute walk from Aspen Mountain Ajax. Currently as low as $294.00/night! 118 E. Bleeker St. Lower Level is a self-catering property located in Aspen near Maroon Lake Scenic Trail. The accommodation is a 6-minute walk from The John Denver Sanctuary.This holiday home features a kitchen a TV a seating area and a bathroom. Currently as low as $210.00/night! 210 Cooper Unit 2D is a self-catering property set in Aspen near Aspen Mountain Ajax. This holiday home is 500 metres from Maroon Lake Scenic Trail and a 6-minute walk from The John Denver Sanctuary.This holiday home comes with a kitchen a seating area and a cable TV. Currently as low as $600.00/night! 244 Eastwood Residence is set in Aspen a 14-minute walk from Aspen Mountain Ajax a 15-minute walk from The John Denver Sanctuary and 1.3 km from Maroon Lake Scenic Trail. This holiday home offers accommodation with a patio. Free Internet. Currently as low as $79.00/night! Located on Route 50 this Colorado motel is 10 miles from Blue Mesa Reservoir. 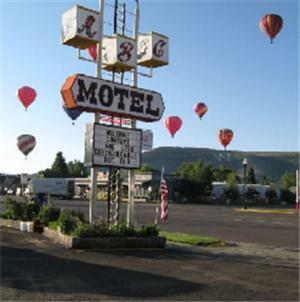 It offers a shuttle service from Gunnison County Airport.The ABC Motel provides rooms with a balcony. Each is equipped with free Wi-Fi cable TV and a refrigerator. Free Internet, Pets Allowed, Non Smoking Rooms. Currently as low as $86.24/night! A Colorado River location 24-hour hot tub and easy access to the slopes make for a fun-filled stay at the Affordable Inns. The four-story Affordable Inns houses 14 rooms that all feature cable TV; some also include microwaves and mini-fridges. Free Internet, Free Breakfast. Currently as low as $500.00/night! Alm Haus Aspen features a patio and is set in Aspen within just 600 metres of Maroon Lake Scenic Trail and an 8-minute walk of Aspen Mountain Ajax. 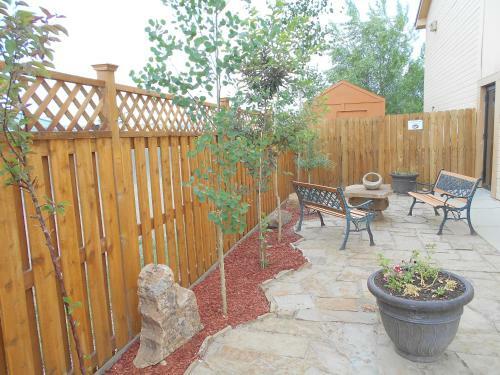 Located a 9-minute walk from The John Denver Sanctuary the property features a tennis court. Free Internet, Pets Allowed. Currently as low as $245.00/night! Alpenblick Unit 1 is an accommodation located in Aspen a 2-minute walk from Aspen Mountain Ajax and 600 metres from Maroon Lake Scenic Trail. Guests staying at this holiday home have access to a fully equipped kitchen. Swimming Pool. Currently as low as $567.00/night! Alpenblick Unit 13 is located in Aspen. The property is a 2-minute walk from Aspen Mountain Ajax.This holiday home comes with a seating area a kitchen with an oven and a cable TV. 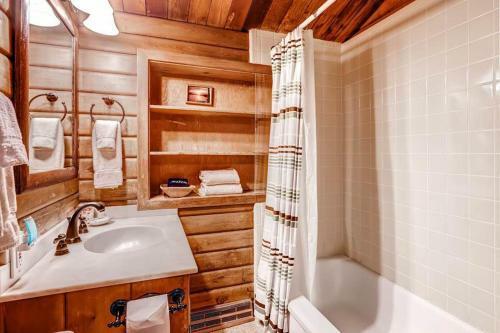 The holiday home also has a bathroom. Swimming Pool. Currently as low as $462.00/night! Set in Aspen a 2-minute walk from Aspen Mountain Ajax and 600 metres from Maroon Lake Scenic Trail Alpenblick Unit 14 offers air conditioning. This holiday home is an 8-minute walk from The John Denver Sanctuary and 5 km from Independence Pass. Swimming Pool. Alpenblick Unit 16 a property with a fitness centre is set in Aspen a 2-minute walk from Aspen Mountain Ajax 600 metres from Maroon Lake Scenic Trail as well as an 8-minute walk from The John Denver Sanctuary. This holiday home is 5 km from Independence Pass. Alpenblick Unit 18 is a property with a fitness centre set in Aspen within just a 2-minute walk of Aspen Mountain Ajax and 600 metres of Maroon Lake Scenic Trail. It is located an 8-minute walk from The John Denver Sanctuary and provides free shuttle service. Swimming Pool. Featuring a fitness centre Alpenblick Unit 3 offers accommodation in Aspen a 2-minute walk from Aspen Mountain Ajax and 600 metres from Maroon Lake Scenic Trail. The property is an 8-minute walk from The John Denver Sanctuary and 5 km from Independence Pass. Swimming Pool. Complete with a fitness centre Alpenblick Unit 9 is situated in Aspen a 2-minute walk from Aspen Mountain Ajax and 600 metres from Maroon Lake Scenic Trail. The property is an 8-minute walk from The John Denver Sanctuary and 5 km from Independence Pass. Located next to the Crested Butte Ski Area shuttle stop this hotel features an indoor heated pool and hot tub. Each room is equipped with free Wi-Fi. Guests can enjoy a daily hot breakfast. Free Internet, Indoor Pool, Non Smoking Rooms. Currently as low as $125.00/night! Located in Snowmass Village this air-conditioned apartment features a barbecue. Guests benefit from patio.The kitchen features a dishwasher and an oven and there is a private bathroom. A flat-screen TV with satellite channels is available. Free Internet. Currently as low as $166.00/night! 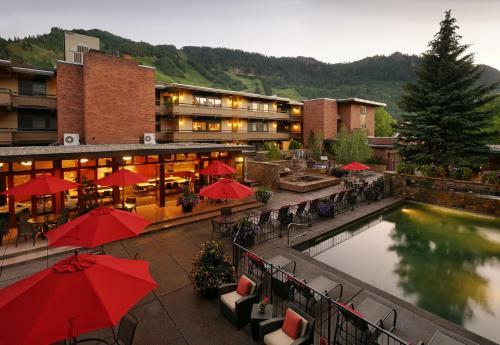 Offering a year-round outdoor pool and a hot tub this hotel is 15 minutes' walk from Aspen Mountain. Free WiFi access is available. Storage for ski equipment is provided. Free Internet,Outdoor Pool, Pets Allowed, Non Smoking Rooms. Currently as low as $343.00/night! Aspen Mountain Townhouse B offers accommodation in Aspen a 4-minute walk from Aspen Mountain Ajax and 700 metres from Maroon Lake Scenic Trail. The property is a 9-minute walk from The John Denver Sanctuary and 6 km from Independence Pass. All-suite lodging a downtown location and private balconies for every room: The non-smoking Aspen Square Condominium Hotel marries the functional space of a condo with the amenities of a full-service hotel. Free Internet,Outdoor Pool, Non Smoking Rooms. Currently as low as $375.00/night! Aspen Townhomes East 9 Aspen a property with a tennis court is set in Aspen a 4-minute walk from Aspen Mountain Ajax. The accommodation is a 6-minute walk from The John Denver Sanctuary. Free Internet.